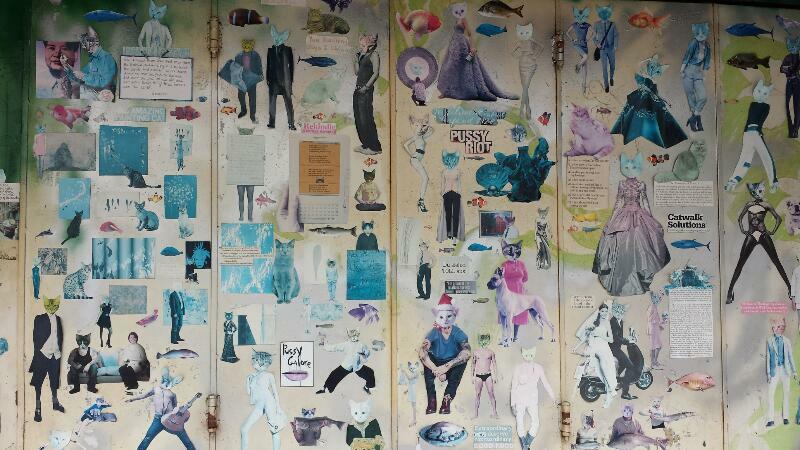 As you can see, almost entirely, those are cat head cutouts pasted over human bodies, and put together as collage on a wall by some fine arts dude, a cat fellow or somebody with a twisted mind. 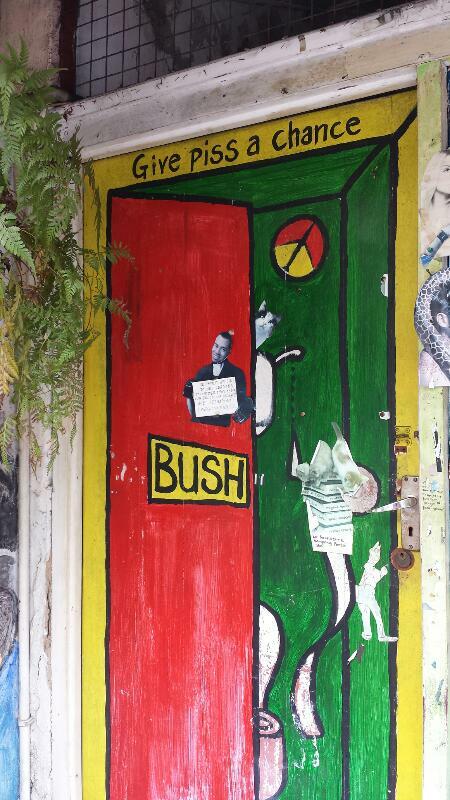 Adjacent to that collage wall is a door with “Give piss a chance” written on it. Just one of those things that catches your attention in one of those streets in Melaka.